Make your baby's eyelids look incredibly real with the Premixed Eyelid tint colors & Micro Vein Paint. 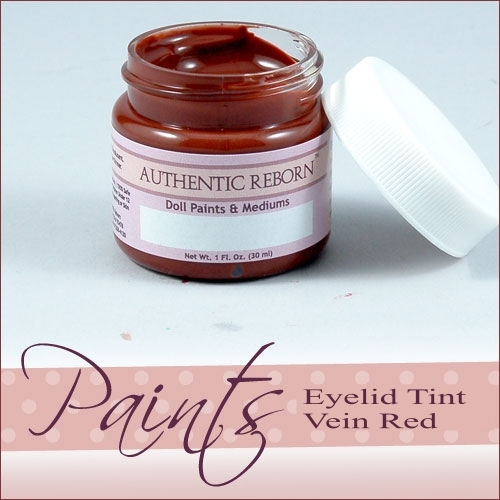 Authentic Reborn has developed a premixed paint colors just for baby eyelids. This Paint colors for correct eyelid tint. Use also our new Ultra soft moist glazing mediumfor making your baby’s eyelids look moist and soft. 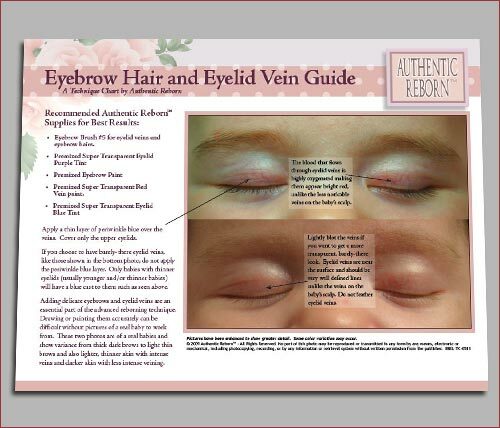 Be sure to use the Eyebrow Hair and Eyelid Vein Guide. This photo technique guide shows you real babies eyelids and micro veins up close so that you can study them and then create your own.